The best part of a vacation is living it. The second best part is re-living it through the authentic photos you capture while there. 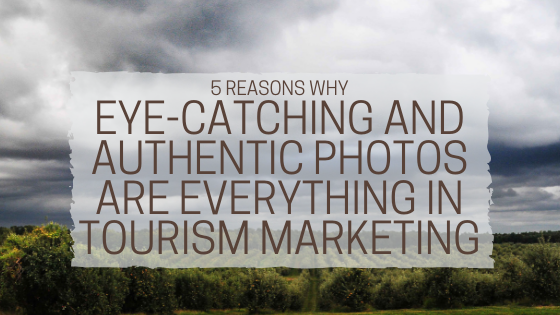 Photography is everything when it comes to travel – so it stands to reason that it should be a big part of your tourism marketing strategy. But all too often, destinations don’t take the time to invest in their photography. They are using the same shots over and over, showcasing the same assets in the same run-of-the-mill way, and supplementing with stock photography that looks a little too staged – or worse, doesn’t look anything like the actual destination. 1. Take your website and online content to the next level. If your website is more words than photos, it might be time to rethink your layout. When booking a vacation, visitors idealize first and book second. Let your website lead potential guests through their dream vacation by showcasing what they can do when they visit. Is ziplining big? Put it right on the homepage. Is autumn the peak season for you? Let the colors transform your site and social media for the fall. Pictures do what words often can’t – they show abstract concepts like facial expressions and emotion. They appeal to visitors’ human side and allow them to make their own emotional connections to the destination. Not to mention, photos are universal. They can be understood by speakers of any language and visitors of any age. 2. Be a resource for the media. Journalists – even on the traditional side – know that photography is necessary. And while travel writers are adept at capturing their own authentic photos while on a visit, there are times that they want to cover a location that they haven’t been to or showcase a new stop. Having a gallery on hand helps get them what they need and ensures that your destination is top of mind the next time a media opportunity comes around. On the flip side – those who don’t have the right images can get passed up for placements, even if they are the right fit for the story. 3. Find your aesthetic and give your audiences vacation-envy. There is a visitor out there for every destination. You don’t have to have it all to be noticed – you just have to have a few key things that appeal to your kind of traveler. Take New Zealand tourism as a great example. The country is known for being green, pure, scenic – and home to the Hobbiton set from Lord of the Rings. Every photo on New Zealand’s Instagram speaks in some way to their “Pure New Zealand” brand. You won’t find food pictures, restaurants, hotels, or museums on their Instagram. But you will find sparkling waters, star dusted skies, snow-capped mountains, sandy beaches, and a few hobbit holes here and there. Whether you are representing an entire country or a small-town B&B, find your niche or aesthetic, and give your audiences vacation envy. Whether you want them drooling over local desserts or packing up their hiking boots to hit the mountains – play to your strengths and let the images lead the story. Bonus: Check out Pure New Zealand’s Instagram stories, called “New Zealand Through the Eyes Of…” featuring the destination through the eyes of their visitors. This is a great way to share more while engaging directly with the people who matter most! 4. Showcase top stops in a new way. You might have gotten this far in the blog and thought “I have some really good images of my destination, I’m good.” But ask yourself, is it enough? Consider refreshing your photography every 1-2 years. You don’t have to dump your tried and true images – but it is a good chance to add new shots from new angles and update your library. It can take several years for visitors to commit to a trip – from planning to booking to actually visiting. So make sure you are keeping it fresh, exciting, and new to ensure that “wow” factor never really goes away. 5. Be authentic, spontaneous, and exciting. Stock photos don’t do your destination justice. They always come off a little too staged or don’t quite look like the places you are trying to promote. A mountain in Colorado doesn’t translate to a mountain in the Adirondacks. Your destination is unique and deserves its own unique images as a result. You don’t – and shouldn’t – have to rely solely on professionally shot, high resolution images to promote your assets. In this age, anyone can take a great photo. 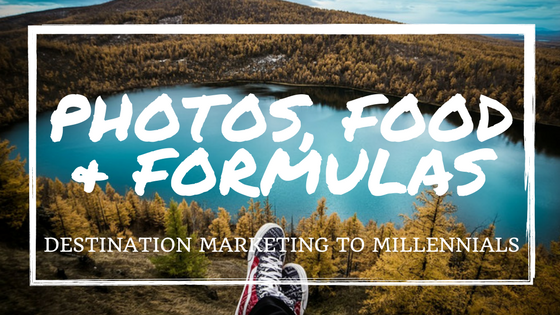 User generated content (UGC) is a great way to fill your feed with authentic photos and engage with your audience in a new way. Your visitors are your best brand advocates. They know what has caught their eye – and they’ve posted it online. Ask permission, give credit, and use those unique shots to show others what the buzz is all about. As your library of images grows so will your audience, your engagement, and eventually, your visitor count.